Research and analysis can serve as the lynchpin for effective carbon pricing design and implementation. 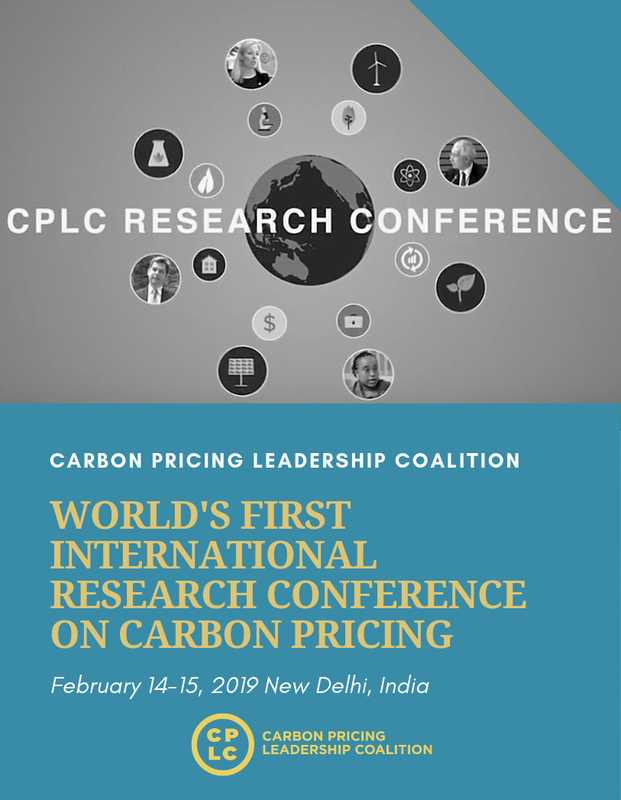 With the goal to strengthen the knowledge base on carbon pricing and foster an improved understanding of the evolving challenges to its successful application, the Carbon Pricing Leadership Coalition will convene researchers, practitioners, and interested stakeholders for a CPLC Research Conference, scheduled to take place February 14 – 15, 2019 in New Delhi, India. Leveraging its high-level membership of governments, the private sector, and civil society organizations, CPLC will draw on outcomes of this conference to help bridge the existing gap between theory and practice, and to inform future decisions taken by policy makers and corporate leaders. Each day will feature plenary sessions from leading experts, followed by concurrent sessions covering all 6 themes. Sessions will consist of presentations from a combination of leading researchers as well as young and emerging academics in the carbon pricing practice, followed by facilitated discussions.